However how hard it might sound, not all home selling deals close as expected. In some cases, the sellers cancel the contracts, and in other instances, the buyers willingly walk away. That explains why selling a house is not as simple as compared to most of other selling processes. There are so many reasons that can lead to the falling through of a house selling process. Buyers are however legally allowed to back out before the house buying deal closes, under certain circumstances. This might occur if the seller fails to comply with the conditions contained in the contract. The other reason that might push a buyer to back out is when they have found another deal that is much better – but they would still need a LEGAL reason to get out of the contract. A qualified property attorney or some of the best real estate agents are the best people to deal with determining if the buyer has a legal right to back out of a real estate transaction. Just because YOU feel it was wrong for them to back out — doesn’t mean they didn’t have a legal right to do so. In many states, if you fight (and loose) you may be required to pay a portion or all of the buyers court costs. The first step to execute when a buyer has backed out of a deal is finding what might have gone wrong. If the reason that led to the backing out of the buyer was due to your actions when it comes to the management of the property and the needed information, then you can still save the situation by complying. If either the personal or financing status of the buyer led him to back out, then you might be forced to cancel the contract and keep the earnest money deposit of the buyer. If your failure to perform a particular duty that you had agreed to in writing causes the buyer to pull out of the deal, then you still have a chance of saving the situation. If for instance, the contract duty was a repair of the home, then it is still possible to perform it and save the situation. If you are selling a condominium, there are many additional documents you (as the seller) must provide in a timely manor. If you do not – you may be in breach of contract. Alternatively, you can negotiate on the acceptable amount to the buyers, which you can then offer them as a lieu of the repair work that should be done. Here, both parties; you and the buyer; will come to terms to stop the deal or decide to continue with it. If by any chance the buyer opts to cancel, they should also enjoy their earnest money deposit as well as other compensation for resources and time consumed in the entire process. What Happens When it’s the Buyer’s Fault? The buyer in a typical real estate transaction has so many roles and responsibilities to play particularly when the matters to do with finances are involved. When the buyer’s loan doesn’t come through, or he has lost his job, then he might technically be unable to buy a property. When you have done all that are legally required of you as the seller, and the deal falls through, then the decision to cancel it or renegotiate it to make it possible for the buyer to purchase the house is entirely yours. That kind of decision will be wholly dependent on the following factors; · Your motivation to sell the house · How well the negotiations currently deal fits you · Whether you can be able to get another buyer that is more qualified. 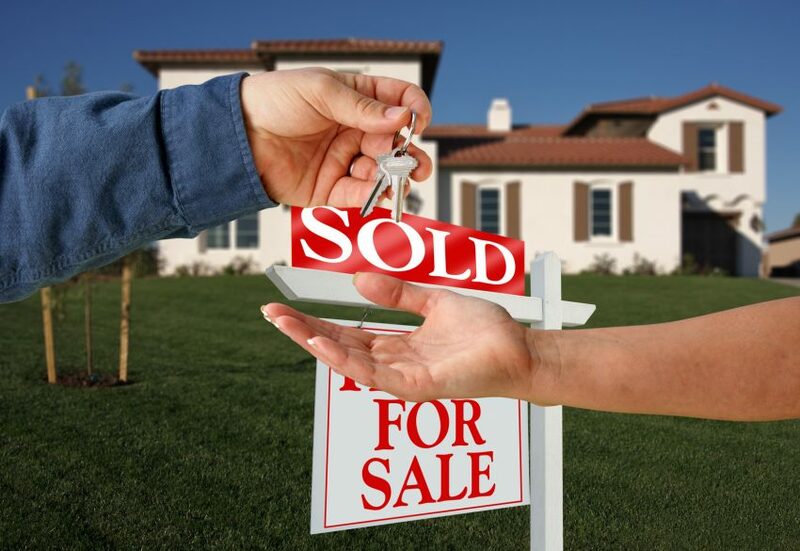 In a normal process of selling a home, the buyer will make an offer on the seller’s property, and when the seller accepts it, the two will agree to sign a contract. The status of that house will then change from “for sale” to “under contract,” and that would indicate the process of almost closing the deal. Home purchase or sale can only be complete when all the involved parties have signed the legal documents that are used to transfer the ownership. The contingency clauses written on the buyers’ contracts are the legal ways they can apply to back out of the contract. Here are some of the most common ones; the mortgage loan contingency – The buyer will have to secure a mortgage for that particular property. The Home Inspection Contingency – Most modern real estate contracts include a period of time for the purchase to complete property inspections. Once the inspections have been completed – the buyer can ask for repairs to be made or a reduction of the cost. At this point, either party can back out of the deal. The Sale Contingency – The purchase of a home would depend on the buyer who is selling his/her property. This is sometimes referred to as a Predicated Offer or Contingency offer. The Appraisal Contingency – Most real estate purchase agreements are written so that a home’s price must wither meet or be lower than the official appraisal price. When a deal fails to go through, its either the seller or the buyer had a change of heart. It could also take place when part of the clauses present in the first contract is not met. If you have been under contract and the buyer walks out on a deal, then you can lose the following: The Interest – The moment your property goes under contract, other buyers who might have had an interest may have to look for other similar houses. The Time– The most hurting bit of a fallen through real estate deal is that sellers will have to start again. This is time-consuming and might affect your plans for buying another property. The money you may end up losing huge funds when the deal fails to succeed. When a buyer backs out before a deal closes, it is mainly due to the fact that a number of clauses haven’t been met, or the buyer changes his/her mood. The only way a seller can safeguard themselves from fake buyers is to be empowered and informed seller. The seller should be well versed with the contract details and consult a professional real estate agent. It is also equally important to have a real estate agent review the contracts carefully.